Our group is interested in understanding how novel cellular functions arise and diverge during evolution. What are the molecular sources of phenotypic novelties, or in other words, how genetic variability that is introduced at the level of the DNA is propagated through protein structures and interaction networks to give rise to phenotypic variability. 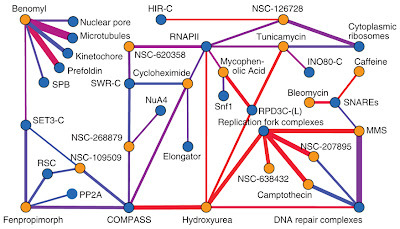 Within the broad scope of this evolutionary problem, our team is currently focused in two related areas: 1) the function and evolution of post-translational regulatory networks; and 2) the evolution of genetic and chemical-genetic interactions. These studies are required not just to understand the evolutionary process but should also help us to understand the differences between different individuals (i.e. individual genomics) and improve our capacity to devise combinatorial therapeutic strategies. 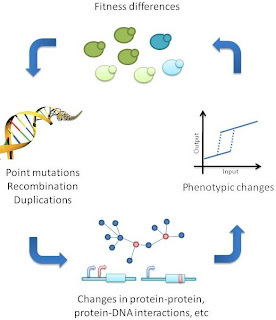 In order to study the evolutionary dynamics and functional importance of post-translational regulatory networks we are developing a resource of experimentally derived post-translational modifications (PTMs) for different species in collaboration with mass-spectrometry groups. This data is being used to develop novel computational methods to predict PTM function and regulatory interactions. The combination of these resources will allow us to understand how genetic variation results in changes in PTM interactions and function. 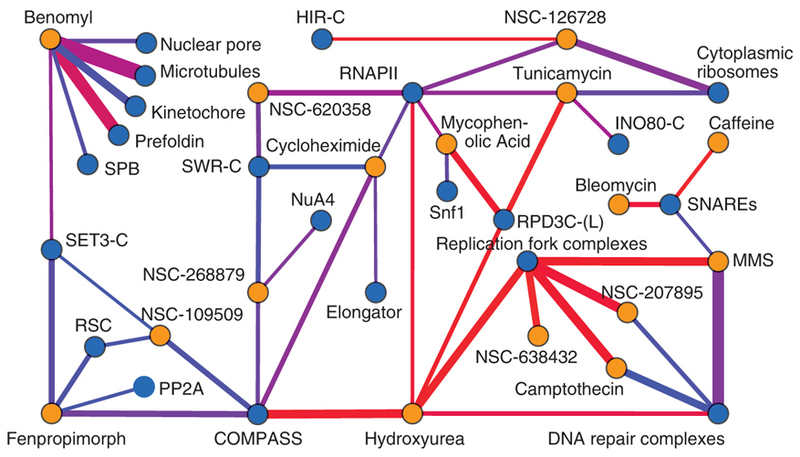 Changes in cellular interaction networks underlie the variation in the cellular responses and sensitivity to environmental perturbations or small-molecules. As we model and study the evolution of cellular interaction networks, we expect to gain an understanding about how different individuals or species diverge in their response to drugs. We aim to study this relationship and to develop methods to predict how genetic changes result in specific sensitivity to drug combinations. Predicting regulatory regions within the HSP70 domain family by measuring the conservation of PTMs. The group is also interested in understanding the genetic architecture of cells. How disrupting simultaneously combinations of parts can have effects on fitness that deviate from a neutral expectation. Studying these genetic-interactions and how they change during evolution should allow us also to understand how combinations of drugs can have synergistic effects that are specific to a given species. 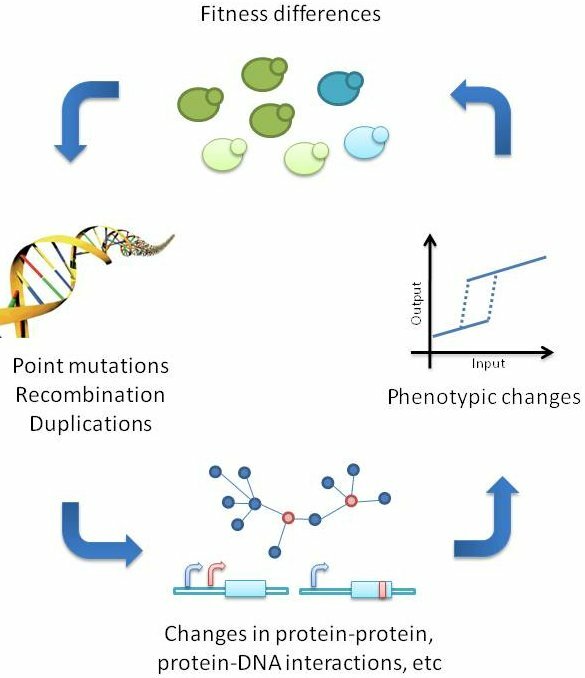 Ongoing efforts in this area aim to: integrate different data types such as structural and chemical-genetic information to predict drug targets; develop predictors for the combinatorial effects of small-molecules; (related publication).